The vase was described as Australian as the mark had smudged badly and the Aotearoa does look like Australia. The pattern and colours probably reinforced the presumption. 32 cm tall. 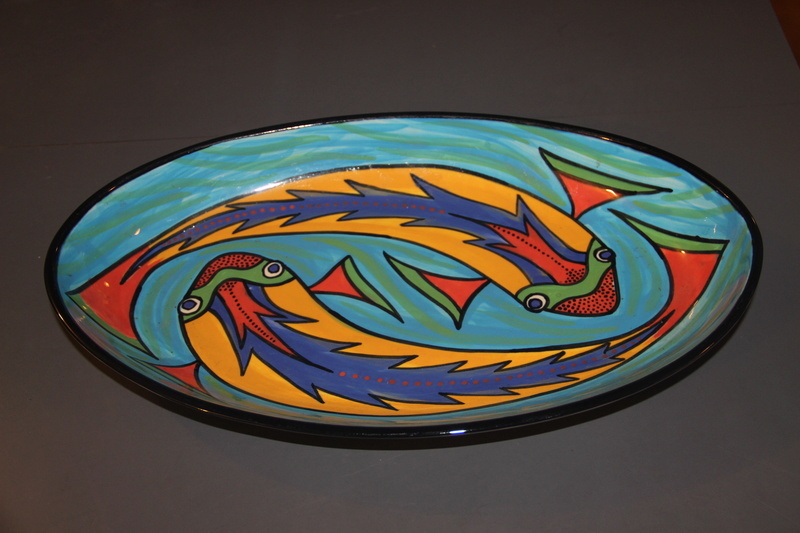 The fishes dish is 40 cm long, 24 cm wide and 4.5 cm high. Wow to both pieces Mike !! 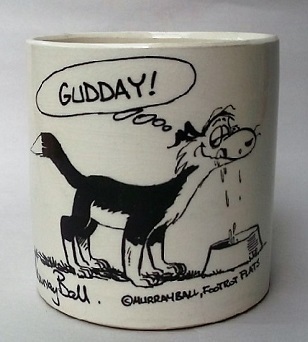 The vase is a familiar shape, but the decoration is unusual. The fish are very pop art for Catherine, but I like them too. Mike do these pieces have anyone else's name on the base besides Catherine Anselmi? I am working on a list of her decorators. Hi Val, there is a list of the Anselmi decorators in the third post down in this topic .. 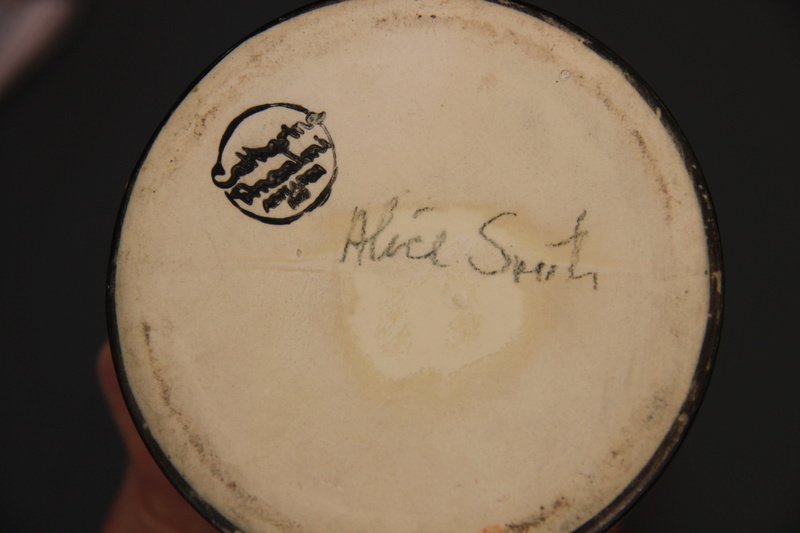 Sorry Val...yes there is....Alice Smith in large script in what looks like pencil. I was a little frustrated as I took the photo of the vase in portrait and couldn't get it the right way up on the post and forgot to add the base photo. Thanks Ev and Mike.... is the fish dish Catherine's? 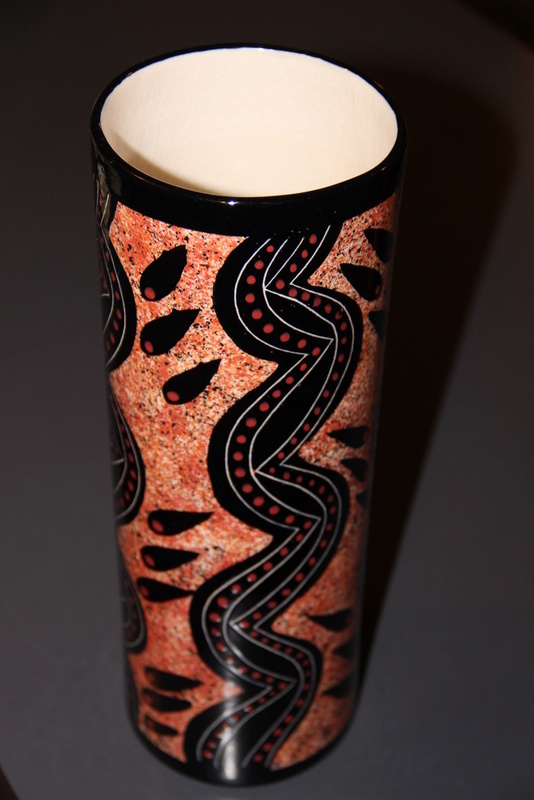 I have a tall cylinder vase by Pilippa Taylor. Who (I think) shows up later as Pip Gray of Tapa Nz. I left a query on her website but no reply yet. (I see that there has been a 'like' to my comment (under the name George Irwin) so that might be as close as we are going to get to a confirmation that Pip Gray/Philippa Taylor are the same person. 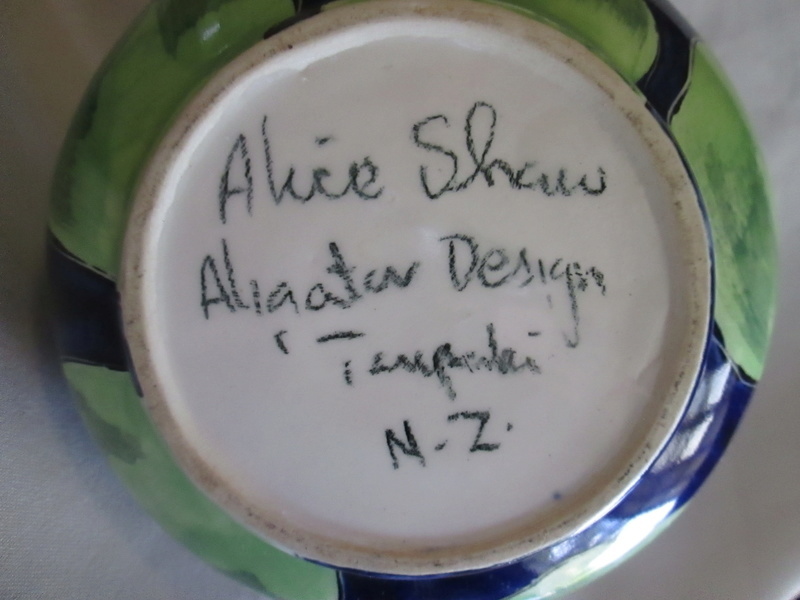 The fishes dish just has the Catherine Anselmi Aotearoa NZ mark. Alice Smiths' mark looks alot like Alice Shaws' mark to me.. It certainly does look like the same writing Kat. Perhaps one of those surnames is her married name?